Chantelle at Frame of Mind has been framing Heather’s work for over 20 years. They have built a strong relationship over the years both professionally and personally. Raised in West Vancouver, Heather Aston graduated with honours in Printmaking from the Vancouver School of Art (Now Emily Carr University). 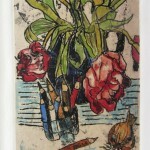 She works out of the Dundarave Print Workshop on Granville Island, Vancouver, BC and paints out of her home studio. 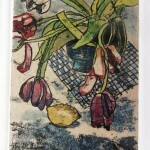 In her printmaking she produces mostly monotypes (just one) and drypoint etchings (usually an edition of 6 or 7). 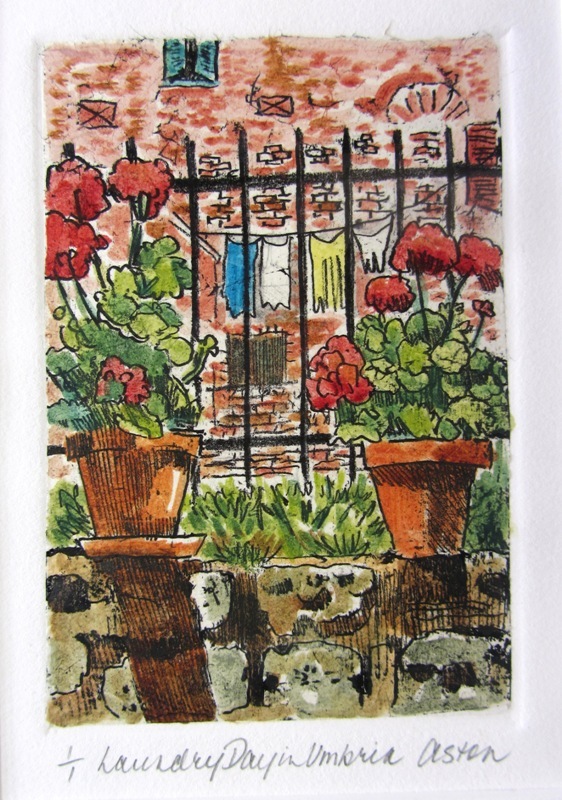 This print “Laundry Day in Umbria” is called a ‘liftprint’ which is a monotype; hence the edition number 1/1. 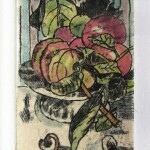 Each print is ‘one of a kind’ and all the materials used to produce it and the matting are acid-free and archival quality. These matted originals are available for sale at Frame of Mind, come by to view in person.